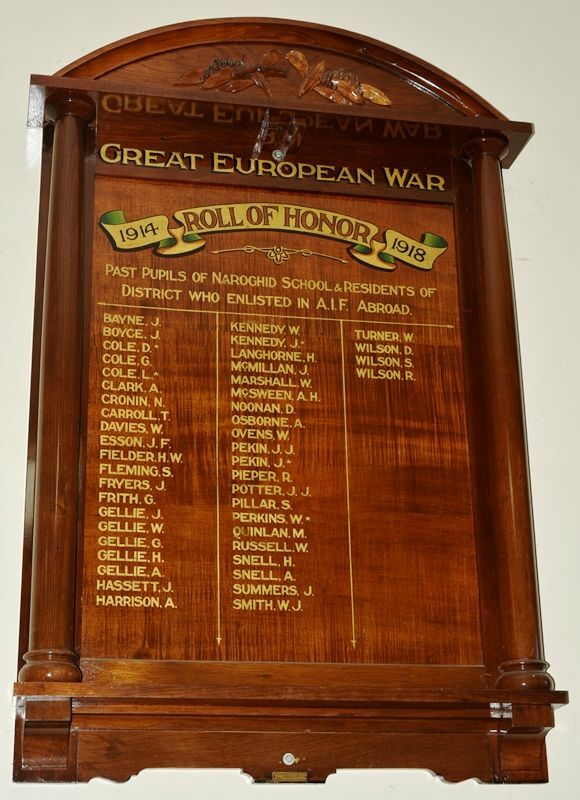 A wooden honour roll commemorates former students of the school and residents of the district who served in World War One. Naroghid. The School Committee have completed arrangements for unveiling an Honor Board for past pupils and residents on the 18th instant. The Hampden West Riding councillors have intimated their intention of being present. Cobden Times (Vic), 16 October 1918. District Who Enlisted In A.I.F. Abroad.